Now I know that most of you LOVESTYLE divas may not reach quite the same level of euphoria when buying trainers as you do when splurging on a new pair of Choos or splashing out on some Lanvin ballet pumps … but trainers need to play multiple roles so you need to take the time to get the right ones for you. They need to help you perform in comfort and with the right support, they need to minimise your chance of injury, to work with your foot strike and your gait and of course, they need to tick the boxes style and colour-wise, for motivation and all important colour-coordination. Friends regularly ask me for advice re where to go and what to buy so this week, your indispensable little guide! Shoes vary in design and weight depending on the activity for which they’re intended so pick shoes that are right for your choice. Running shoes for example allow only for forward and backward motion whilst general aerobic shoes allow for sideways movement as well. Walkers should look for more rigidity in the front of the shoe and shock absorption on the heel. Tennis and other court sports require shoes that provide stability on the inside and outside of the foot plus flexibility in the sole beneath the ball of the foot. Any speciality sports, such as golf, track and cycling all have their own specific shoe types which you need not only for function but also to look the part! If just wanting a pair of general all-rounders, pick cross trainers that combine several features so you can participate in more than one sport. A good pair should have the flexibility in the forefoot that you need for running combined with the lateral control necessary for aerobics or tennis. 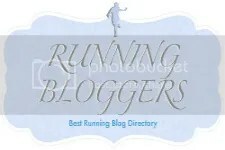 To determine what foot type you have, pop onto Runners World for a step by step guide to The Wet Test. A good fit is critical for both your enjoyment and performance. It’s wise to try on shoes at the end of the day when your feet are at their largest. Also, wear the same type of sock that you’ll wear when training. Next, try on a few pairs. Shoes fit properly when there’s a firm grip of the shoe to your heel, you can wiggle all of your toes and the shoes don’t feel too tight or too loose. I generally always buy half a size bigger than I would other types of shoe. Lastly, make sure you try on both shoes and walk or run a few steps. The shoes should be comfortable as soon as you try them on – they shouldn’t need to be broken into. No this isn’t a trick question! Thankfully trainers do need to be replaced often … cracks in the sole or worn down heels means it’s time to toss and replace. If you notice pain or soreness during or after a workout, that’s also a sure-fire indicator to treat yourself to a new pair. For runners, trainers should be replaced every 500km. Ultimately, wearing the right shoes will give you the comfort you crave, the support you need and the power of performance. It will also ensure you avoid all manner of foot problems from blisters, bunions and hammertoes to injuries with names that even sound painful. We’ve all seen enough unsightly pics in our favourite gossip mags of celebs with bones and bunions that simply do no justice to their jewel-encrusted strappies. As for where to go; Dubai has all the major brands and generic shops like Go Sport and Sun & Sand. Of course, if you want to just go straight to the best of the best, go to adidas. They have such a great selection, you’ll feel like Charlie in the Chocolate Factory. In fact, you probably will get the same euphoria as you do buying Choos or Lanvins.